Los Angeles, CA, October 20, 2017 –(PR.com)– Fiber Pasta U.S., the innovative and healthy pasta company, officially launched the PastaPro, Pasta for Fitness. 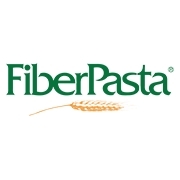 A product of FiberPasta, PastaPro, is a low carb, high protein, whole wheat pasta designed for athletes, vegans and people living a healthy lifestyle. Non-GMO and Certified USDA Organic, PastaPro delivers nutrition and taste to not only help you meet your daily protein goals, but also improve your diet and workout goals. Like FiberPasta, PastaPro uses a special line of wheat flour that not only provides many health benefits, but also gives pasta that fantastic traditional taste and texture. PastaPro is made in Italy with Italian non-GMO wheat. PastaPro, unlike many high protein pasta imitation, can be re-heated keeping the structure of the pasta intact.